Valerijs Beinarovics was driving his brother’s car when police stopped him on Market Street on February 23. Beinarovics appeared at the city’s sheriff court yesterday where he admitted being under the influence when he was pulled over. The court heard that he had been spotted by patrol officers at about 2.10am, while they were travelling from Palmerston Road to Market Street. Police clocked the blue Jaguar travelling at “excessive speed” and pulled it over. When the officers approached the car they noticed a strong smell of alcohol wafting from the car. The court heard that Beinarovics’ brother told officers he was the owner of the car but said he was too drunk to drive. Police then breathalysed the driver and arrested him before they gave him another test back at the station, which revealed he had 49 microgrammes of alcohol in 100mls of breath. The court also heard that he was not insured to drive the Jaguar. 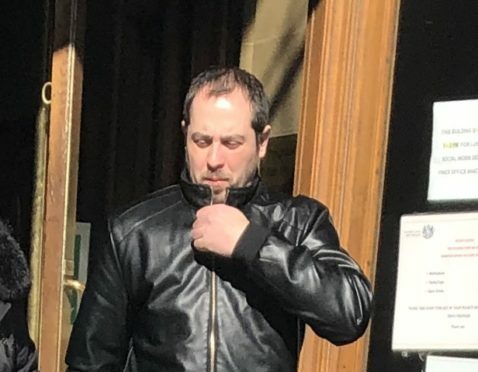 Defence agent Gregor Kelly said he had recently moved from Latvia and had been living in the north-east for a few months, where he had been working as valeter. He said that the pair had met in town and were drinking together, however Beinarovics’ brother had “considerably more”. Mr Kelly said an argument had broken out between them when the brother tried to get in the driver’s seat after they left the pub. Beinarovics, who had “nursed” three pints over several hours, decided it was the “lesser of two evils” for him to drive his brother to make sure he got home safely. Mr Kelly also said Beinarovics had told police he had believed he was insured to drive the car. Sheriff Sukhwinder Gill said she took into account the fact he had no previous convictions. She banned him from driving for 12 months and fined him £660. Sheriff Gill also offered him the opportunity to shave three months off his ban by completing a driver rehabilitation course.